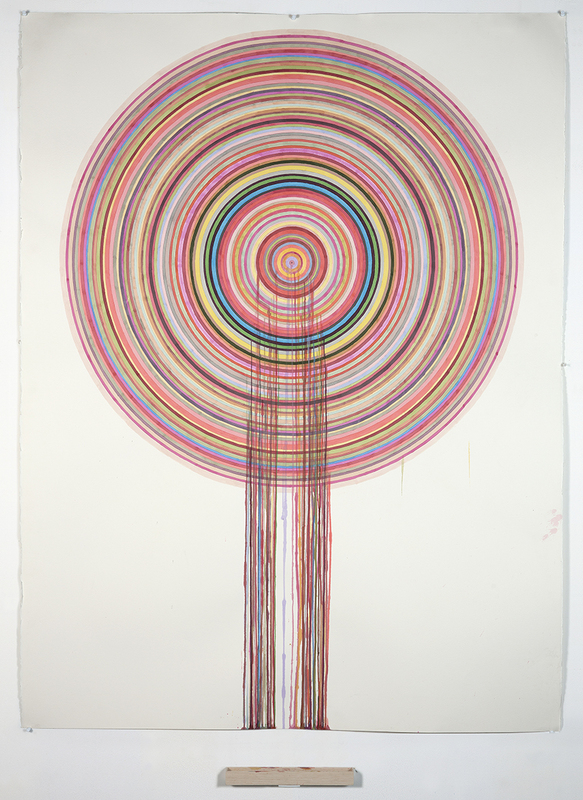 Amendments comprises an ongoing series of large watercolour works on paper made up of numerous concentric coloured rings. From each ring paint drips and spills, ‘amending’ those rings it traverses as it gravitates down the paper’s surface – colour drips and spills from the edge of the page, staining the balsa wood tray beneath. Creek’s drawings take an extended period to complete. As the rings gradually accrue and colour harmonies develop, time and change accumulate. Creek’s drawings take an extended period to complete. As the rings gradually accrue and colour harmonies develop, time and change accumulate. The materiality of the drawing and sense of performance is heightened by the play of gravity and drip trails. 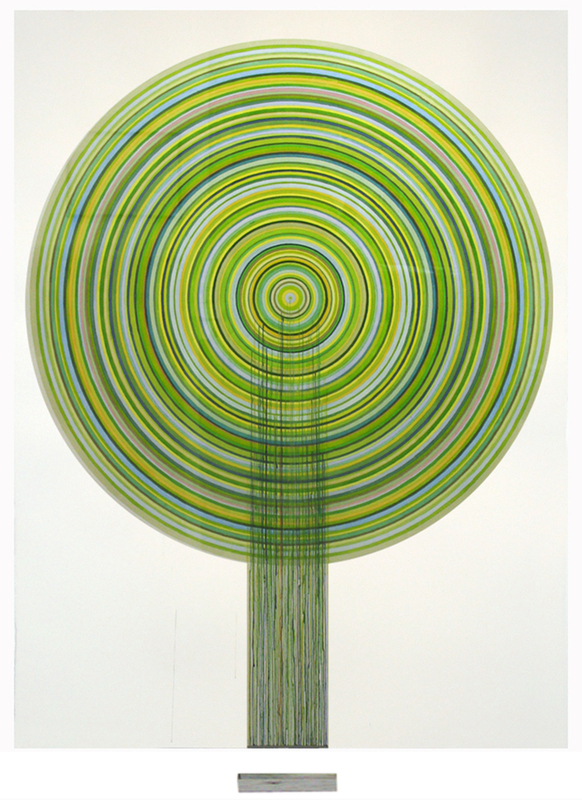 There is both a pure optical beauty and a strong material presence in these works. Part object, part process and part exercise in repetition, the works might also be read metaphorically: the titles, First Amendment, Second Amendment and so on suggest a political reference to the subtle alteration or decay of an ideal. In their serial formulation, titling and temporality Creek’s Amendments indicate an interest in minimalist and other 60s and 70s process driven drawing practices. 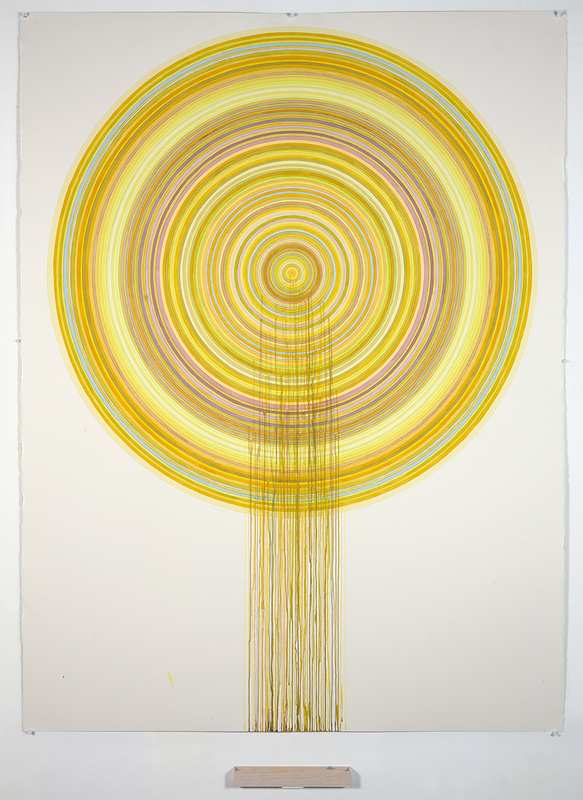 For this series he revisits and expands upon the target motif used in previous drawing projects.